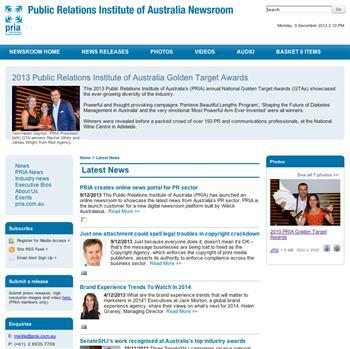 The Public Relations Institute of Australia (PRIA) has launched an online newsroom to showcase the latest news from Australia’s PR sector. 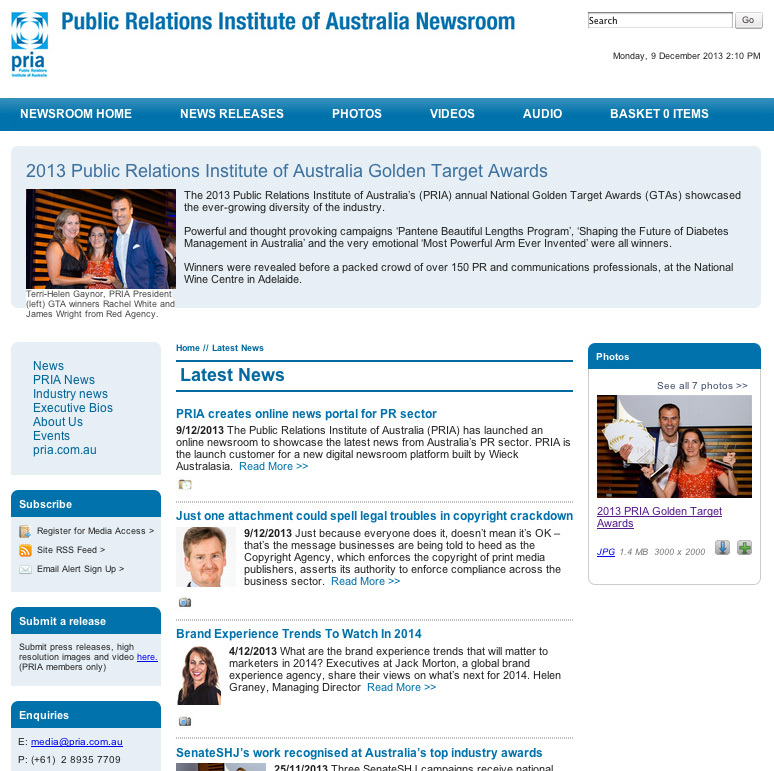 PRIA is the launch customer for a new digital newsroom platform built by Wieck Australasia. The newsroom delivers news releases from PRIA members with the option of reproduction-quality downloadable photos, videos and audio. It is available to the association’s individual and consultancy members to make their news content – including broadcast quality video – instantly available online. PRIA interim CEO Catriona Barry said the online newsroom was expected to become a major resource for media seeking the latest Australian PR industry news. “As the national industry body for PR and communication professionals, it is appropriate that we use the best technology to provide a showcase for our members,” she said. “By partnering with Wieck Australasia, we are the first organisation in Australia to use the very flexible and cost-effective new platform Wieck has developed. “Having completed an initial trial, we are now inviting our members to make full use of it. Wieck Australasia CEO Warren Kirby said the new platform had been developed to meet the seemingly insatiable needs of today’s media for multi-media content. “As revealed in our recent whitepaper, PR Perceptions and Media Realities in 2013, the demand for multi-media content is increasing,” he said. “Our new platform makes online newsrooms more accessible and affordable than ever. Mr Kirby said the recent whitepaper revealed that not only did 97% of surveyed media use supplied images, but 82% used supplied video and 66% used supplied audio files. “PRIA is leading by example in using the latest technology to feed this massive media appetite for multi-media content,” he said.